older woman who turns out to be an artist. She is an “easy-mark,” or so he thinks. “CASH FOR CRASH,” a lucrative scam involving vehicles, a form of Highway Robbery, is on the rise throughout the world. 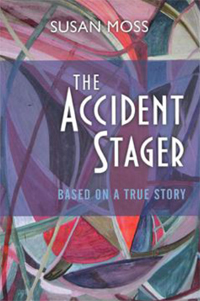 A criminal activity requiring split-second timing and dare-devil courage, a “staged accident” must be perfectly accomplished so that the victim is confused enough to think she is at fault. The criminal must also be so skilled that minimal damage is done to the vehicles involved and especially careful that no one gets seriously injured or killed. This life-or-death crime is perpetrated by criminals with knowledge of how the law and insurance companies converge to actually help them to hit the jackpot. Gaude Velasquez is a pro at “accident staging.” He has skill, timing, and nerve. He also knows exactly how to pick his victim. His arrogance is only matched by his consummate skill. He also teaches Shortie, a laborer who lost his job. But Shortie is too honest, much to his detriment. of The Accident Stager today!